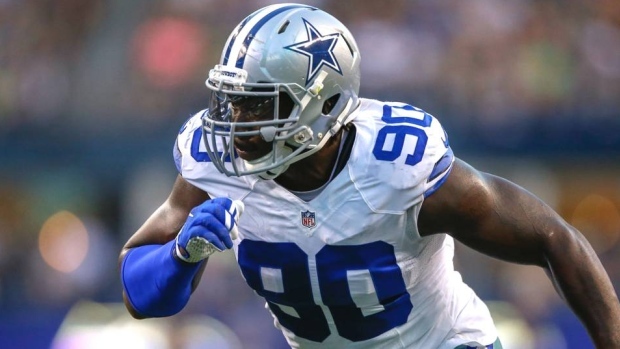 Two-time Pro Bowl defensive end DeMarcus Lawrence of the Dallas Cowboys is facing impending free agency for the second straight year, but reportedly the Cowboys plan on doing everything possible to ensure that Lawrence remains on their roster going forward. According to Clarence Hill Jr. from the Star-Telegram, the Cowboys will not place the franchise tag on Lawrence for the second straight season on Tuesday, the first day that teams can begin doing so, but they'll instead try to negotiate a long-term extension ahead of the March 5 deadline for franchise tags. The 26-year-old Lawrence has no interest in playing under the tag for a second straight season, per Hill. The tag paid the defensive end $17.1 million last season and would see him make $20.5 million in 2019. The Cowboys have no interest in letting Lawrence reach free agency which opens on March 13, per Hill. He adds that the Cowboys have made their defensive end a top priority and they plan to "keep him at all cost." Lawrence, who is entering his sixth season in the NFL, recorded 64 tackles along with 10.5 sacks and an interception in 2018.